The Bureau of Educational and Cultural Affairs’ USA Study Abroad branch will host a series of career readiness workshops for approximately 150 alumni of the Benjamin A. Gilman International Scholarship Program over the next two weeks. Alumni will gather at the University of Portland in Portland, Oregon on September 14, Mount Mary University in Milwaukee, Wisconsin on September- 17, and the University of Kansas in Lawrence, Kansas on September 21. Additional workshops are being planned for the future as well. USA Study Abroad’s series of workshops will help Gilman alumni develop the professional skills they need to translate their experiences abroad into meaningful careers. Through employer panels, networking sessions, and skill building activities, alumni will learn how their new language abilities, regional knowledge, and cross-cultural communication skills can lead to careers advancing the economic prosperity and security of their home communities and the United States at large. Alumni will also learn about their non-competitive eligibility status for federal hiring and network with alumni of the Critical Language Scholarship Program and Fulbright U.S. Students Program. "The Gilman Program aims to make study abroad, and its career advantages, more accessible and inclusive for all American students. 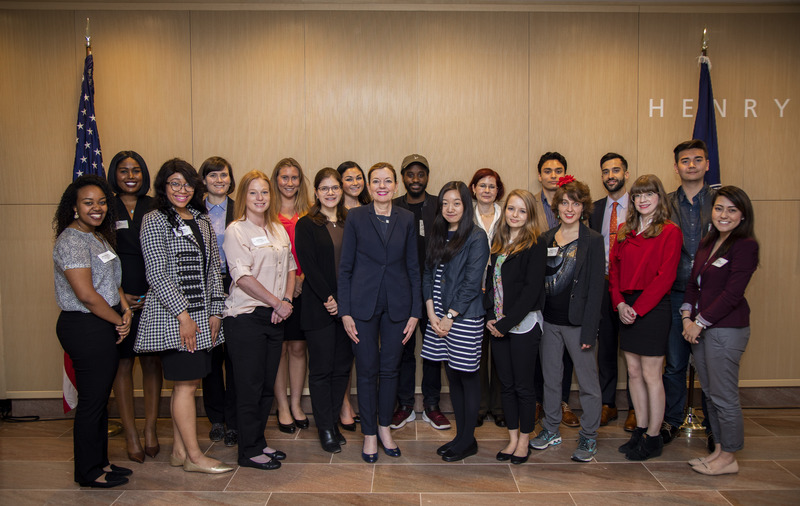 We look forward to including the voices of alumni from across the country in our workshops,” said Heidi Manley, the Chief of USA Study Abroad at the Bureau of Educational and Cultural Affairs. She notes that the program particularly focuses on supporting first-generation college students, students in the STEM fields, ethnic and racial minority students, students with disabilities, student veterans, students attending community colleges and minority serving institutions, and other populations underrepresented in study abroad. It also focuses on broadening the diversity of destinations where students study or intern. According to an independent evaluation of the Gilman Program, more than 80 percent of these diverse alumni return home to seek jobs that enable them to interact with people from different backgrounds and nationalities. “The greatest learning outcome I gained from my experience abroad was the importance of being culturally open-minded and the ability to collaborate in a diverse global setting,” shared Tom Mitchell, 2013 Gilman Scholar and Air Force veteran from the University of Wisconsin, Milwaukee. Through its workshops, USA Study Abroad will prepare Gilman alumni to find, obtain, and thrive in meaningful careers, enriching their own lives and their communities.